I spent some time in prayer while I was gluing ... I do tend to pray a lot when I'm being creative. I get into a quiet zone in a way, I guess. But as I prayed, I was reminded that no matter the weather or fatigue, by opening myself to God in prayer, He lifts my spirits and brightens my heart. I know He'll answer every prayer and in His perfect timing. And so I painted a simple little page for fun in my Art Journal. 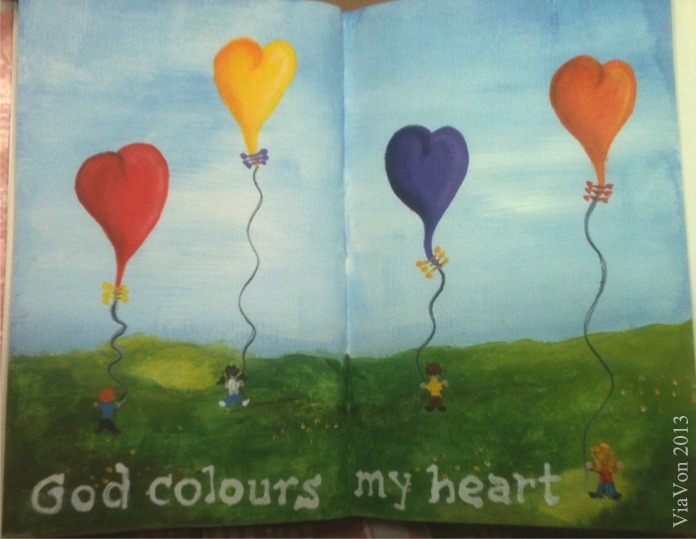 God colours my heart so magnificently well!